You have thought about the size of your kitchen, how you function in it, what your lifestyle is and all the other things I mentioned in Step One: How to Plan your Kitchen Renovation. At this point you have only been doing your due diligence and homework. You have not bought one item, nor do you want to just yet! Today lets talk about using the existing footprint of your current kitchen. You do not have the option of enlarging your kitchen by relocating or removing a wall or two, or by adding an extension. It is what it is. You can only make your kitchen more efficient and up-to-date looking. Cleverly thought out storage and lighting elements. Source: Pinterest. Hypothetically you have decided to keep the sink in its current location therefore moving any plumbing is not necessary. However, you may be thinking of adding a coffee brew station to your cabinetry so you will need to look at bringing a water line to that location to supply your coffeemaker. In addition, the new fridge you are going to purchase will have to have a water line so you can get fresh, filtered ice cubs. You also want to add a filling faucet at your cooking station: another water line required. Plumbing will need to be carefully address at this point. Pot filler at stove location. Source: Pinterest. The electrical provisions now in place are at their max which means that you will need to engage an electrician to add to your electrical box if there is room to do so. If there is not, discuss with your electrician to see if you can get a new electrical panel installed which will provide additional electricity to your kitchen. The reason you need more electrical is that you intend to add a couple of appliances you do not have at the moment and you want to improve the lighting by installing recessed pot lights in the ceiling and for some drama you want to add a strip of lighting to the bottom of your cabinets. Or you might be leaning toward a floor tile to replace your old floor and you have decided to add in-floor heating as well and this too will require additional electrical provisions. As you can see you will already need a plumber and electrician to make this all work for you. Since you have been thinking about a new kitchen for some time now and since you have been reviewing all sorts of nifty kitchen ideas, you have, by now, built up a pretty nice portfolio of things and colours you like. Your current kitchen is a very defined space, due to its location and layout, not necessarily because it is a separate space. It could be, but it does not need to be. Reason this is important when you considering new floor finishes. You either choose a different floor finish than the rest of the space or you choose the identical one to create a nice flow. Lets assume you have a hardwood floor finish elsewhere on the main floor of your home. And, although you would like a hardwood floor in your kitchen as well, it could prove to be difficult to match the existing floor. The hardwood you currently have may no longer be available or the finish is out of date, but your budget does not allow you to strip and refinish the floor throughout when you add to it. In this case I highly recommend to choose a porcelain (or ceramic) floor tile instead. You can now add in-floor heating to keep your feet pleasantly surprised when the weather turns cold. When you start looking at floor tiles you will notice that your options for finding a great looking tile are better in the porcelain tile section rather than the ceramic one. Ceramic tiles are less costly but they can chip and break easily. There is a place for them (preferably on walls), but not really in today’s modern kitchens. Porcelain tiles are much easier to care for than ceramic ones..
Mixed floor materials, an application that is gaining traction. Source: CVI Design (US). 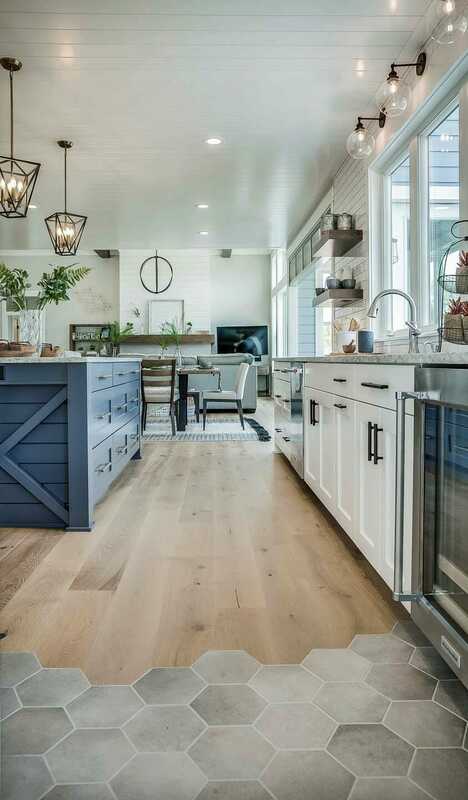 Should you be in the fortunate position to match your existing hardwood floor or if you plan on replacing the entire main floor with a hardwood floor finish, I highly recommend a hardwood floor for your kitchen. Of all finishes out there, the hardwood floor finish is my favourite for a kitchen. Wood is resilient and thus far more forgiving for your back when standing preparing food or baking for longer periods of time. Chances of glassware or dishes breaking are much reduced. Some of my clients object to a hardwood floor due to maintenance issues and scratching. Yes, scratching will occur, but to me that is the beauty of wood. Wood wants to be used, it wants to breathe, it wants to live! Maintaining a hardwood floor is a little bit more work than a tile floor, but not really by much. And after decades of use, if the floor really starts to look bad, you can always have it refinished. You can never refinish a ceramic or porcelain tile. When they scratch or break it will need to be replaced and that could become an issue. The possibility exists that some of your existing walls may need additional bracing for certain design elements. A cantilevered cabinet or freehanging ventilation hood may require extra support inside the wall to support the weight of the item. If you have no weight issues with your new kitchen cabinets and appliances you will not need to address this but I am putting the thought in your mind, just to be safe….! All the cabinets in your kitchen will be attached to the floor and walls. All your electrical and plumbing will be hidden in the walls. And, don’t forget to check your local bylaws for these elements. Most jurisdictions require electrical outlets at certain intervals and distances apart and at certain heights from the finished floor (or in trade speak AFF (above finished floor)) or countertop. Then again, your electrician should now this! Now, typically, when you are not moving or adding electrical your electrician will not have to pull an electrical permit, but if you are going to add significant electrical capacity or if you are going to replace your electrical box with a larger one, a permit is required in most jurisdictions. The same counts for any plumbing upgrades you will be making. Having said this, if your electrical wiring and your plumbing is outdated you will need to pull a permit regardless to bring these elements up to current building codes. Lots of people don’t like this idea since it will cost money and it will alert the authorities of what you are doing, thereby increasing the value of your home with an increase in property taxes. However, it really is in your best interest to make the upgrades, to bring the wiring and plumbing to code because in the unfortunate event an accident happens and the fault is in your ‘old’ system, your insurance will most likely not cover you since you renovated without a permit. Particularly old homes may still have inadequate wiring and narrow water lines and drains. You really will want to bring these up to snuff! There is a reason why we have building codes: they keep us safe. Be wise! If you decide to enlarge a window or add a window or exterior door in your kitchen, you will again require a permit from local authorities. Even if you are using the existing footprint. Since by doing any of these things you start ‘playing’ with the structure of your home and you want to make sure it is safe what you are doing. As well, the area you live in may also have very stringent rules about window sizes and doors! Often only a certain percentage of a home may consist of glazing. Proximity of neighbours can also be a determining factor whether you add or enlarge a window or door. Again, you need to check these things yourself or check with your contractor! In addition, the building industry can be a shady one. Short cuts, inadequate materials used, substandard labour can all play a role in a less than great quality renovation. Most contractors are upfront and honest, but it only takes one to spoil the gains! Permits allow for checks and balances and they protect you. As I have mentioned before, this is the time to start making a list of which appliances your need, you want or you have to have. Before any cabinetry can be layed out, your cabinetmaker will need the size of your appliances. Once you have decided on the brand, the model, the size, all this information can then be placed on a floor plan. This is also necessary for the plumber and electrician to know to ensure water lines and wiring is installed in the right area. Once your appliances have been determined the cabinetmaker or your kitchen designer can start placing them in context of use and efficiency. 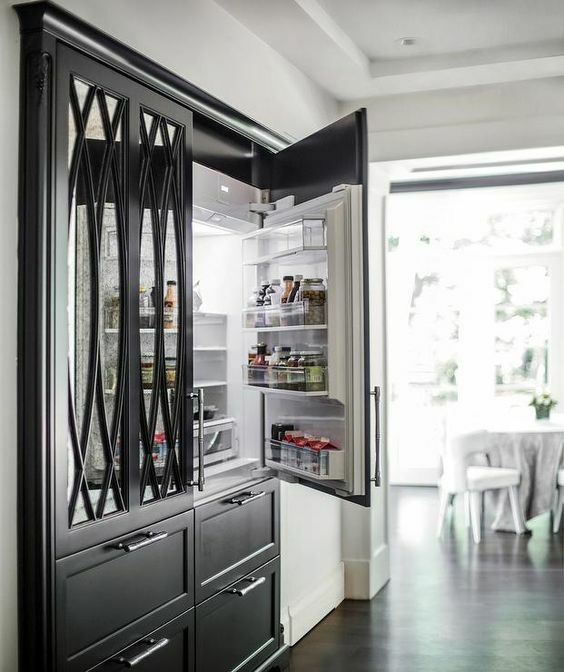 Beautiful custom doors with mirrored back for this built in fridge. Note the multiple freezer drawers. A fridge unit which looks like a piece of furniture! Source: Pinterest. It is critical that you either reserve or purchase the major appliances before you do anything else. Most suppliers are very willing to hold your units until they are needed on site. If you purchase appliances on sale the particular model or finish of your choice may have to be delivered to your home and you may have to store it until you can use it. Sometimes this can be a benefit since sizes can be double-checked on site. At this point you will also need to determine what you want to do with your ceiling. If your kitchen is a very defined space by a perimeter of walls, it is easy to deal with this element. You can drywall it and give it a smooth painted finish. You can install a simple coffer to give it some interest. Or you can add an interesting detail such as a tin or zinc design. It all depends on the ultimate look of the kitchen you are aiming for. 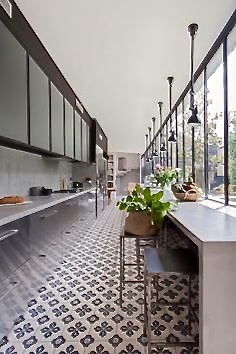 Modern kitchen design by Box Street Design (US). This kitchen has the feel of a country kitchen. Note the coffer on the ceiling while at the same time being contemporary and completely up to date! Note the herringbone pattern of the floor. 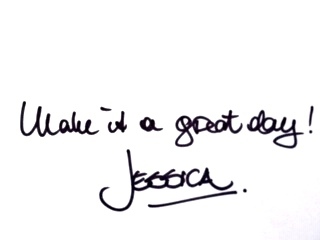 A detail which is coming back with a flourish! Now is also the time to indicate where any recessed pot lights are required. I can guarantee you that if you have an older kitchen and you do not already have pot lights, you seriously want to think about adding them. These lights alone will make such a huge difference to the look of your kitchen and to how you will function in it. 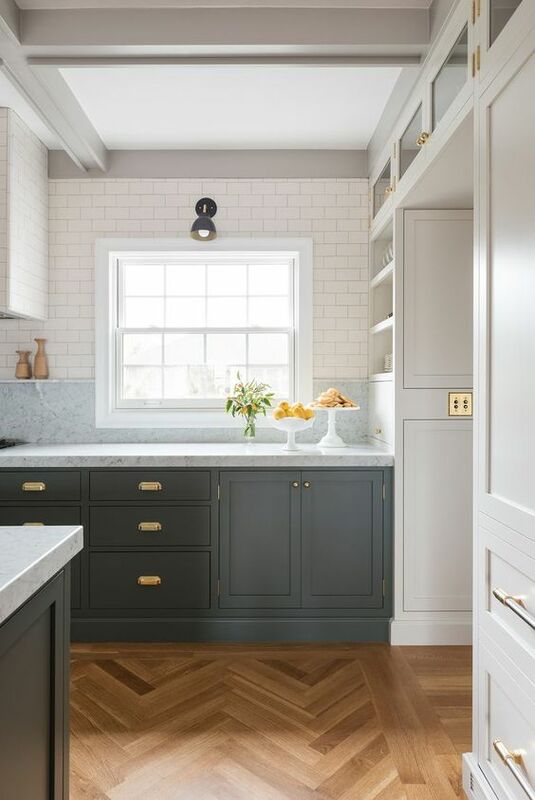 Recessed pot lights provide great general lighting and depending on the type of fixture they call also function as a wall washer highlighting certain elements in your kitchen design. Think of a beautiful ventilation hood with a particularly striking backsplash going up to the ceiling behind it. This could be a great focal point and a wall washer will be able to bring attention to this detail. Recessed pot lights are available in multiple models and configurations. Some units are specifically for remodelling, others are for new constructions. There are 4”, 5” and 6” lights. They can be unobtrusive or robust and visible. Again, you will need to take the time to research this item, because this is the time to decide whether to go that route or not (a mistake if you do not though! Just warning you!). There is a rule for the distances from the wall and between these fixtures to ensure proper lighting throughout. Typically you will want them 24” from a wall and 48” to 60” apart. This is a guideline only and not written in stone. Your electrician can help you with the layout. If you have cabinets along a wall you will want to bring out the pot lights further otherwise they are too close to the cabinets. You may have to add an additional 9-10”. If your kitchen is small, the rule of 48”-60” apart may not work. You can then go for 30”-36”. Again, talk to your electrician. Note the ceiling treatment above the island. The length of the island is reflected in the mirror length on the ceiling. Medallions are attached to form the backdrop for the pendants. A glamorous kitchen for sure. In my view these medallions are not needed. The crystal pendants would reflect amazingly in the mirror without the them. The medallions are confusing to my eye. Source: Pinterest. The location of new pot lights is also dependent on what is inside your ceiling and once this ceiling is opened your electrician will be able to tell you whether you can follow the grid you have decided on or whether you have to make adjustments. Your ceiling will contain the floor joists for the upper floor. These will run in a certain direction, depending on your roof structure. Between these joists will be electrical wiring and water lines and/or drains for the upper floor. Be aware of this and realize that you may have to make compromises in pot light locations and installation. If you are adding pendants over a peninsula or island, or even if you are newly installing a peninsula or island, this is the time to plan for those additional light fixtures. Ventilation pipes from the hood could also be run through the ceiling, again this depends on your existing ventilation hood and its location. Some ventilation runs through ceilings and walls to the outside, some vent directly through walls only. Something to think about! We will look closer to decorative ceiling options in a later blog. Ambience or General Lighting. This lighting is achieved by having recessed pot lights. This type of lighting gives overall general lighting. You can clean by it. It assists when prepping and cooking. Lights over a kitchen island or peninsula also fall in this category. Accent lighting highlights certain features in the kitchen. Under cabinet lighting falls in this category although it is also considered to be task lighting. Lighting under base cabinets in the kick is a type of accent lighting. A spot light or wall washer is a type of accent light which can draw attention to a particular interesting element in the kitchen. 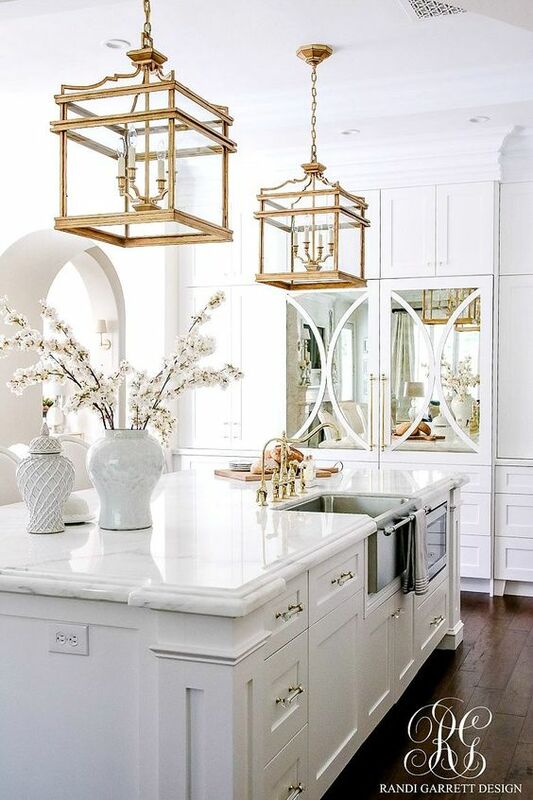 Gorgeous traditional kitchen with gold toned accents. Source: as shown. As a designer I also divide lighting into two additional categories. Fixed lighting that is always affixed and hardwired into the structure. They are the pot lights, ceiling mounts, under cabinet lighting. These are the fixtures that form the ‘bones’ of the lighting. Decorative lighting provides the designer element to lighting. Decorative lighting is also fixed to the structure and hardwired but they provide that additional “good look” thing. 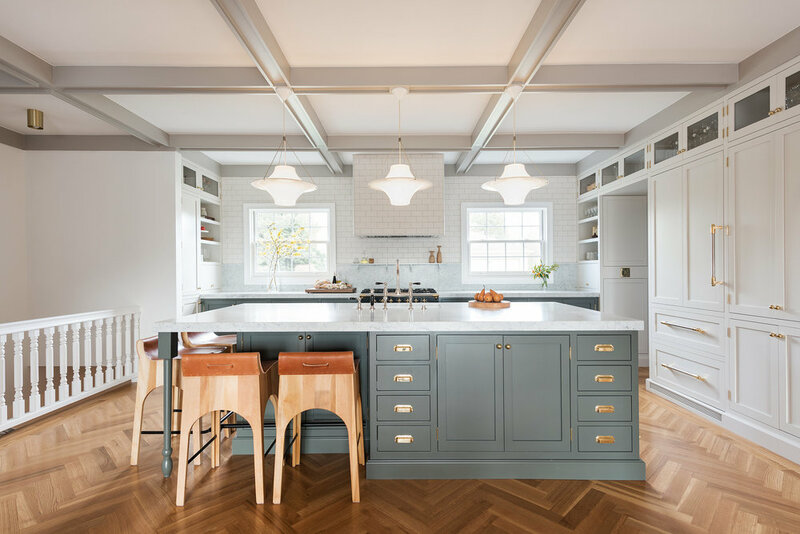 Pendants over a kitchen island or over the sink fall in this category. Wall sconces over a countertop section. A chandelier over a dining area in the kitchen. They add a typical decorative element to a kitchen. It is my job as a designer to include the location of any and all light fixtures on a ceiling and/or floor plan in addition to any elevations. When you are a DIY person, you may keep this information in your head, but I recommend you record it somewhere so errors in wiring can be prevented. It is surprising to find out that when talking to trades people many of them do things as they are used to doing them. This could deviate from what you want but they may not listen carefully enough or just don’t hear it. Document everything is my mantra. Document, document, document!!!! Some fixtures are readily available and in stock. Others are special order. Keep this in mind and build in some time lines for the purchase of light fixtures so they are on site when needed to be installed. Once trades leave your site it may be difficult to get them back in a good time frame! And, you really do not want your kitchen reno to stall for days or even weeks on end. This can become a source for major frustration and upheaval. In summary, a renovation is not easy to begin with but by documenting everything and setting up a proper timeline for work and purchases things should become a lot easier! 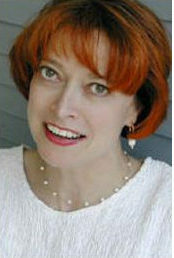 Do everything in the correct order and you will have fewer headaches or heartaches. Structure comes before beauty. Function comes before form. Stay tuned for the next instalment in my kitchen renovation guidelines: Appliances. Thank you for visiting. Hope you enjoyed it. Share it with a friend who is planning on renovating their kitchen.